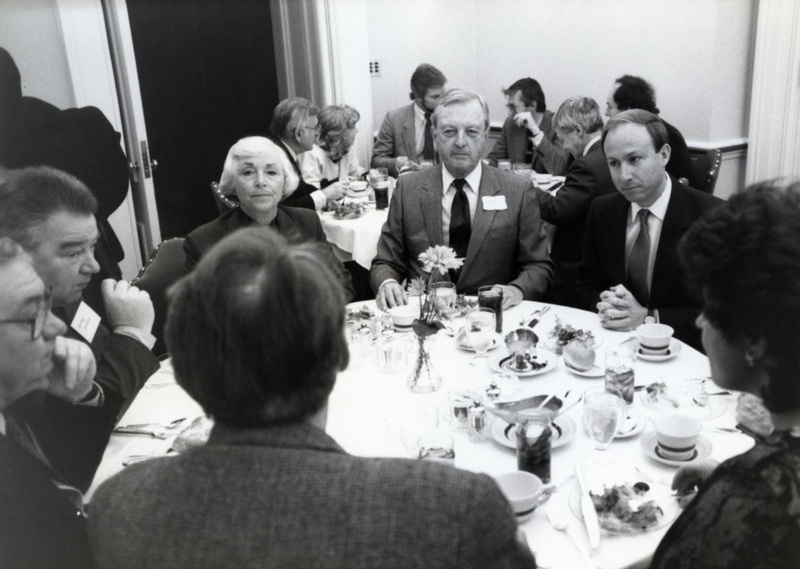 In Winter of 1988, a five-day conference hosted in Washington, D.C. by the Center For Soviet-American Dialogue, brought together more than 100 Soviet leaders in their fields, with 500 American citizens. 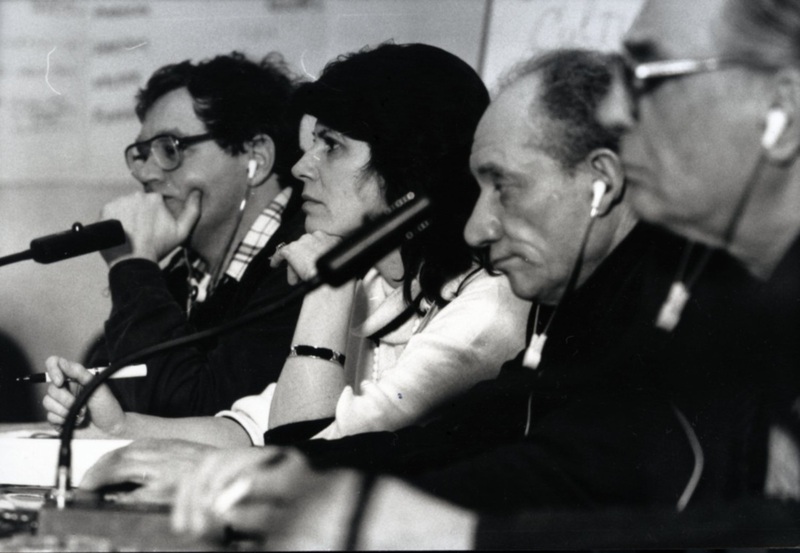 The conference was entitled the 1st Soviet-American Citizen Summit, A New Way of Thinking: Social Inventions for the New Millennium. The theme was inspired by Ronald Reagan's message to Congress inviting them to engage in exchanges with the former Soviet Union. The conference began with a speech from Robert Muller, former Under Secretary General of the United Nations. 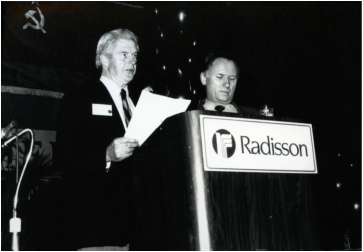 Speakers included Ted Turner, Founder CNN, Barbara Marx Hubbard, Global Futurist and protege of Buckminster Fuller, Paul Temple, Founder/CEO Energy Capital and Rama Vernon along with major Soviet leaders. 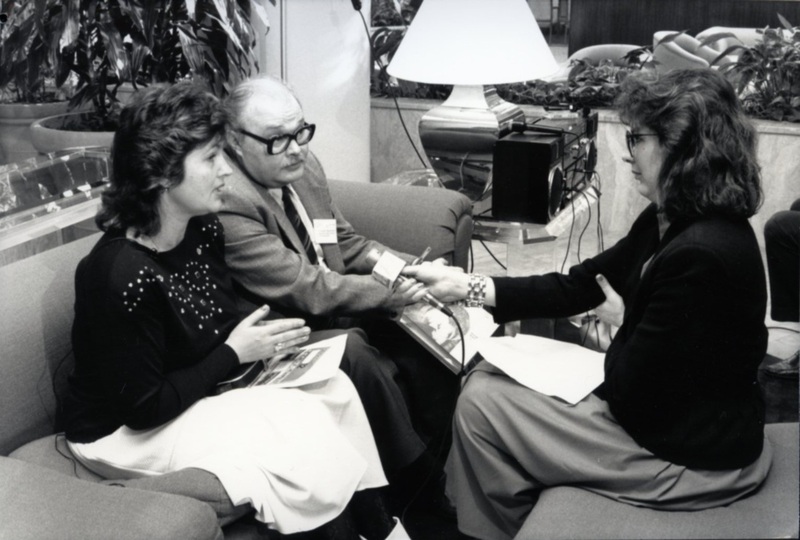 This conference inspired more than 740 joint projects between the U.S. and U.S.S.R.
Barbara Marx Hubbard with Paul Temple, Georgi Gretchko and U.S. 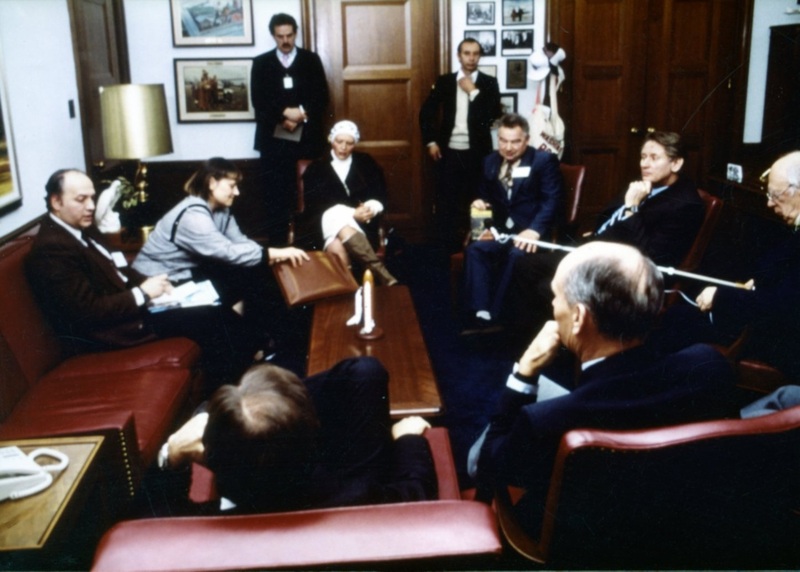 Senator Paul Tribble in Wa., D.C.
Fellowship of Reconciliations members consisting of Paul Temple and U.S. 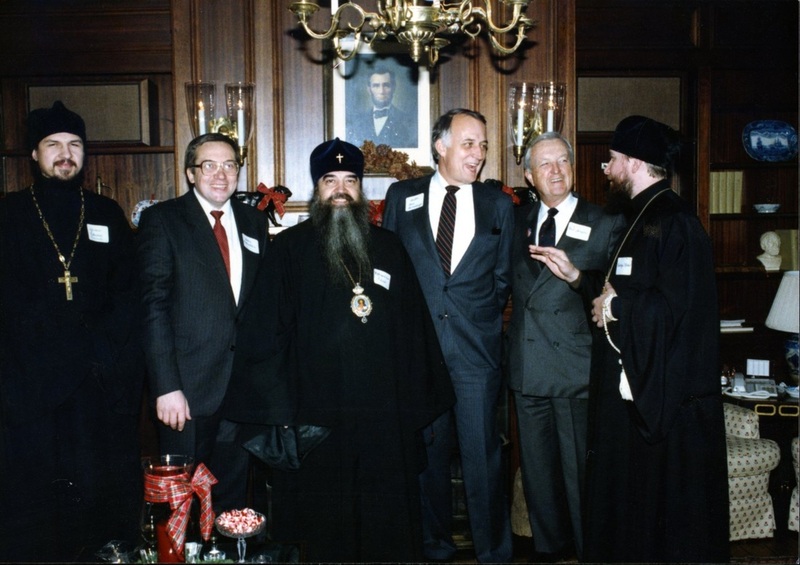 Senators including Sen. Al Gore, hosting a dinner for Metropolitan Fileret, head of the Russian Orthodox Church. Rama Vernon in conference with Doug Coe, President of Fellowship of Reconciliation, Washington, D.C.
.Barbara Marx Hubbard giving welcoming address for Soviet Delegation of the Russian Orthodox Church, Washington, D.C.
Metropolitan Filaret with members of Fellowship of Reconciliation, D.C. 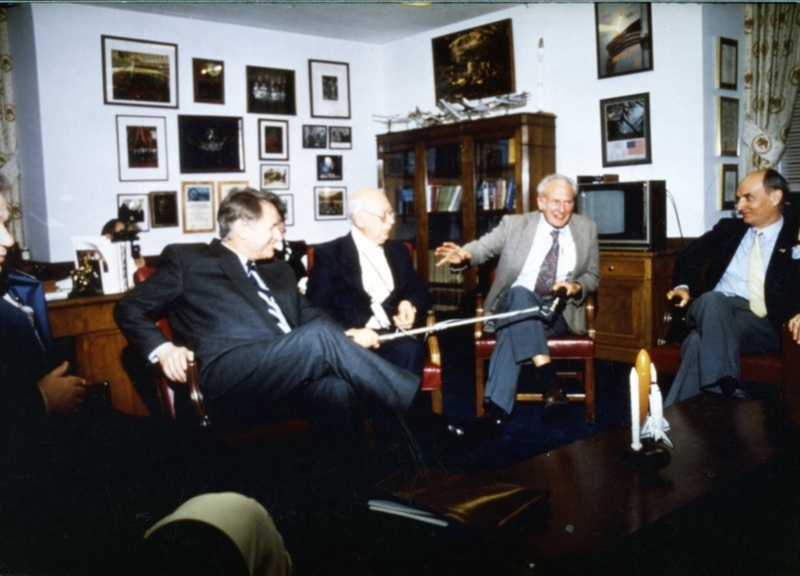 Senator Claiborn Pell, RI, with Henry Borovik, President Soviet Peace Committee, in D.C. Translator with Rama Vernon. 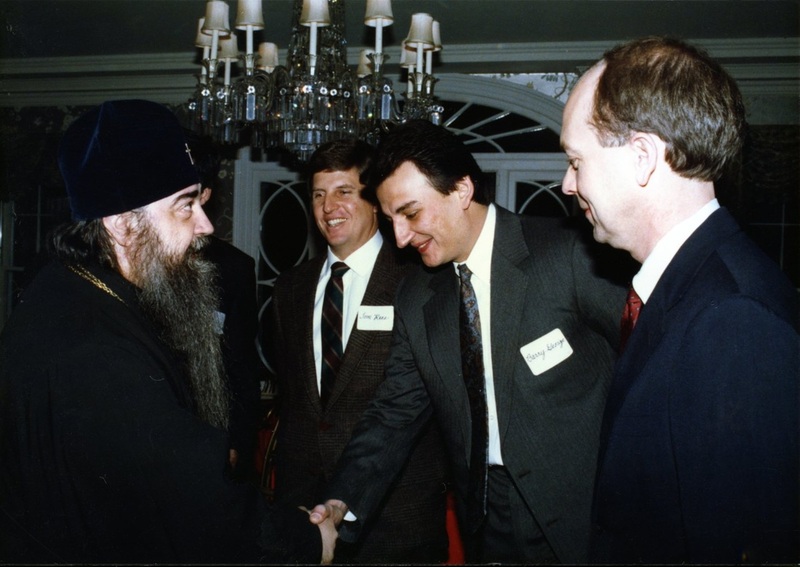 Doug Coe and Father Louis Dolan, UN, meeting in D.C. with Metropolitan Filaret of the Russian Orthodox Church, Moscow. 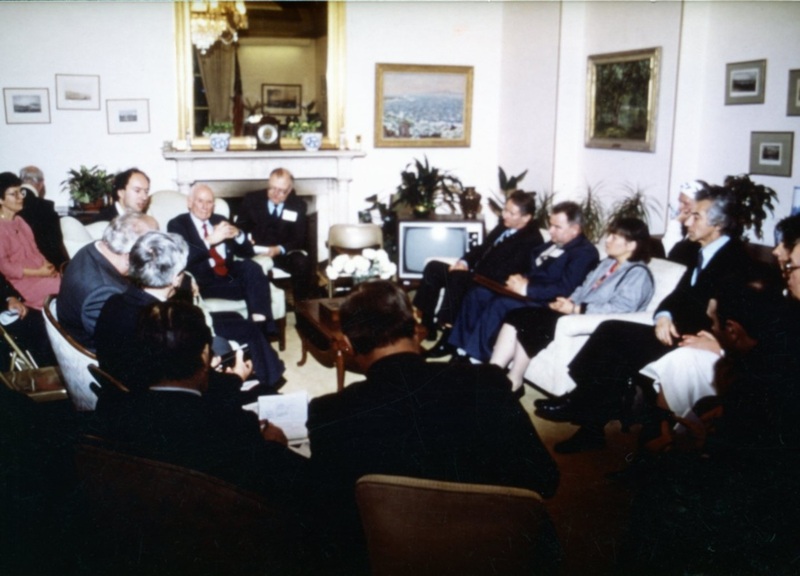 Henry Borovik with Rama Vernon signing agreements for joint projects between the U.S. and U.S.S.R. with members of the Center for Soviet-American Dialogue. Michael Ziekov, First Unity Minister in the U.S.S.R. with Carolyn Anderson, Co-Founder Global Family Network. 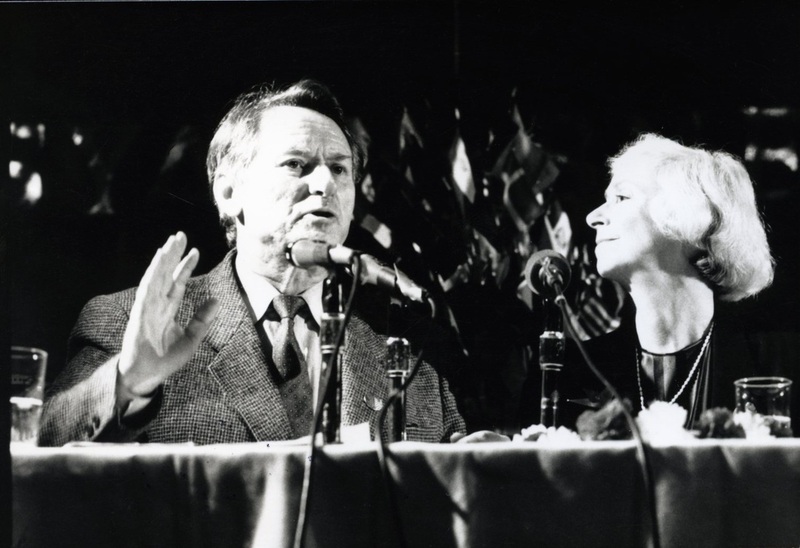 Henry Borovik with Barbara Marx Hubbard ath the UN, announcing U.S./U.S.S.R. joint projects.